With the opening of several canals along the St. Lawrence River during the 1820’s there was an explosion of maritime commerce along the seaway. A report prepared by the Navy in 1838 recommended building a lighthouse on Crossover Island to mark the beginning point in the river where ‘numerous shoals and sunken islands’ obstructed navigation in the river. It took until March 1847 for Congress to act upon the request for St. Lawrence River beacons. 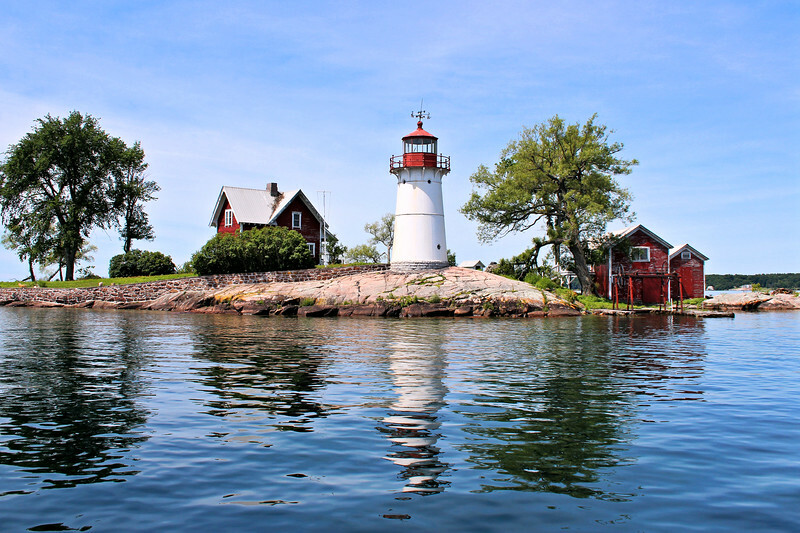 $6,000 in funding was finally appropriated to build three lighthouses in the 1,000 Islands region, one at Rock Island off Fishers Landing, one at Sunken Rock near Alexandria and the westernmost one at Crossover Island.